So we decided to take a relaxing evening. My wife went running first. She started about 2 months ago. Today she reached her goal of 10 km. I’m really proud she managed this in such short period. Afterwards I filled the bath tub and prepared a fresh and tasteful belgian gin tonic. Well deserved after a long day. 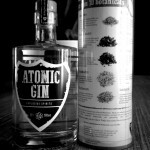 Previously I informed you about the belgian price winning Atomic Gin. Yesterday I got informed about a new belgian Tonic. I bought the Syndrome Premium Indian Tonic to have a taste. This Tonic is made by Serge Buss who created the “Buss n° 509 Gin Collection” I didn’t taste them yet, but the grapefruit version received verry positive feedback. At Buss Spirits you’ll find some more information about their stuff. This Syndrome Velvet Indian Tonic is created inspired by traditional pharmaceutical recipes (hence the awesome logo). Bitter orange and thyme complete the taste. 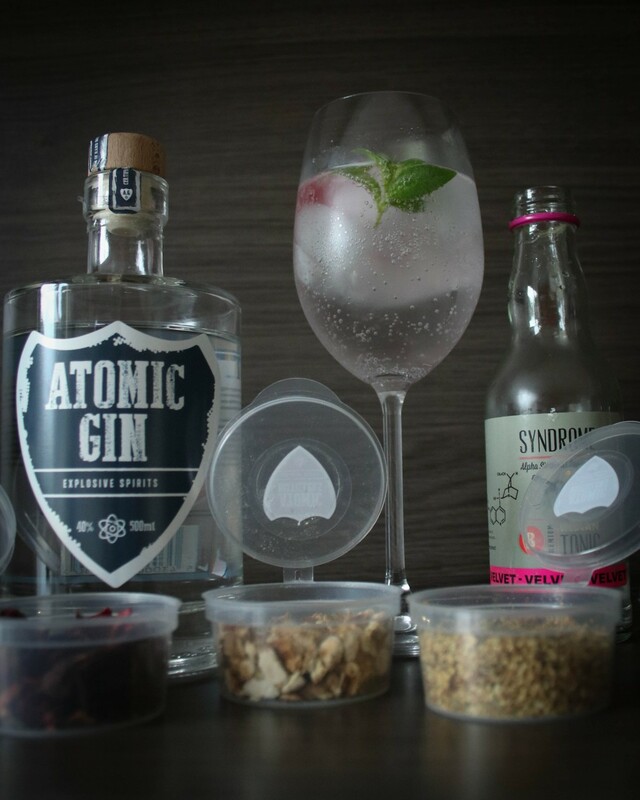 You get a mildly bitter Tonic empowering the floral flavors in the Atomic Gin. Start by putting the candied peel, dried elderflower and dried Hibiscus in an infusion bag. Add them to 5cl. 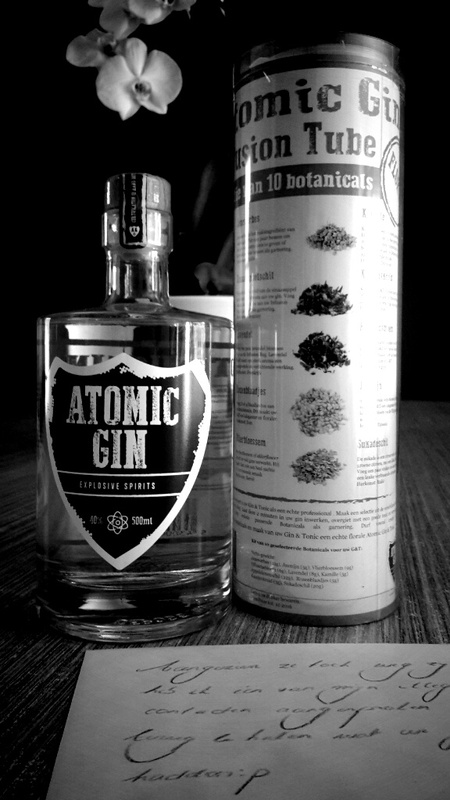 Atomic Gin and put aside for about 2 minutes. This way the condiments can release their flavours. This combination will enhance a fresh slightly bitter taste. Add the Ice cubes to the glass. Carefully pour the Tonic in and serve with Lemon Verbena. Here’s your pure belgian gin tonic! Enjoy. Feel free like, share or leave a comment! You might have some good advice I could learn from or just want to share some interesting experiences.